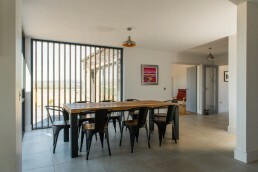 The brief was simple: “to create a space to sit and watch the weather approaching”. 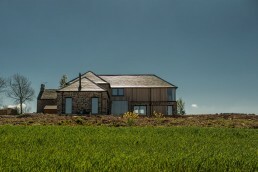 The site was a derelict farm steading set on top of a brae with stunning views of Scottish countryside. 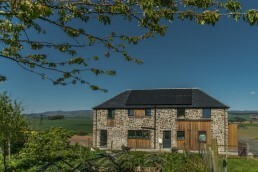 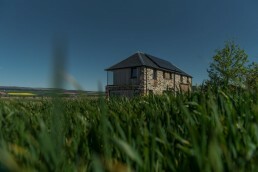 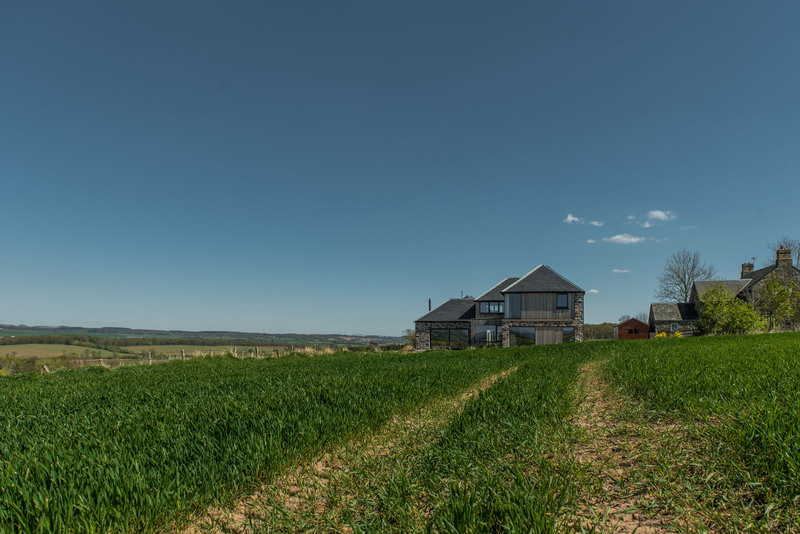 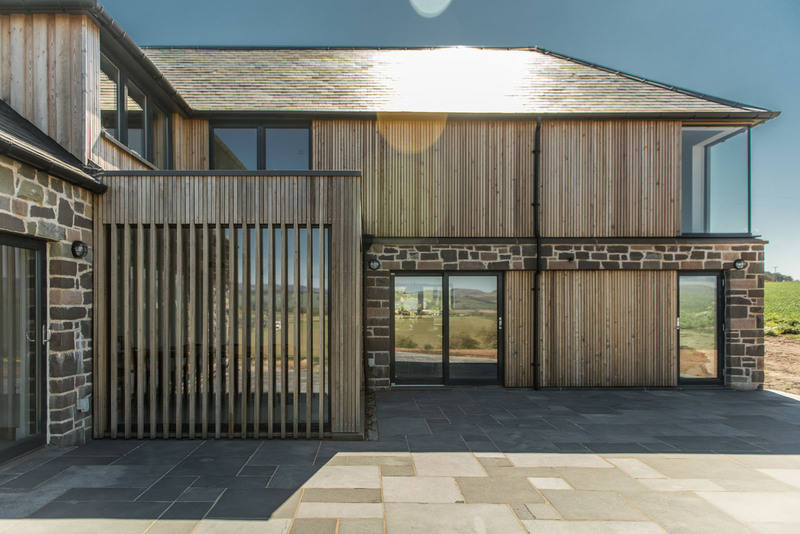 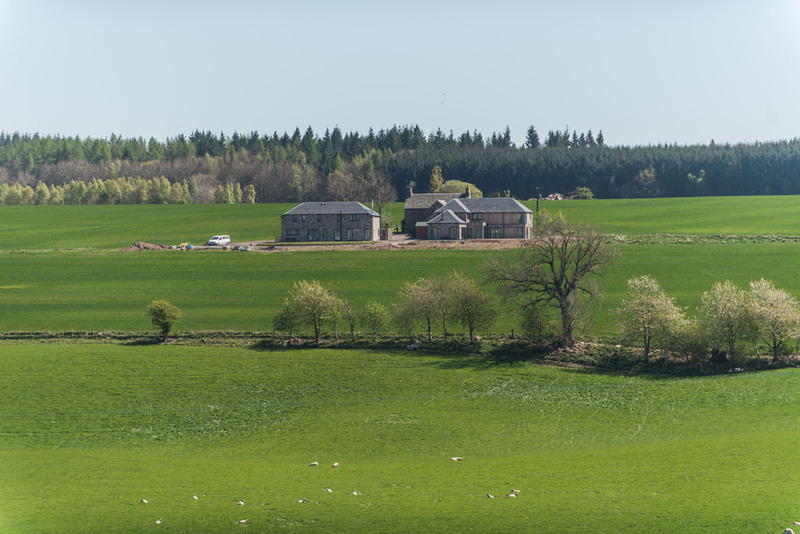 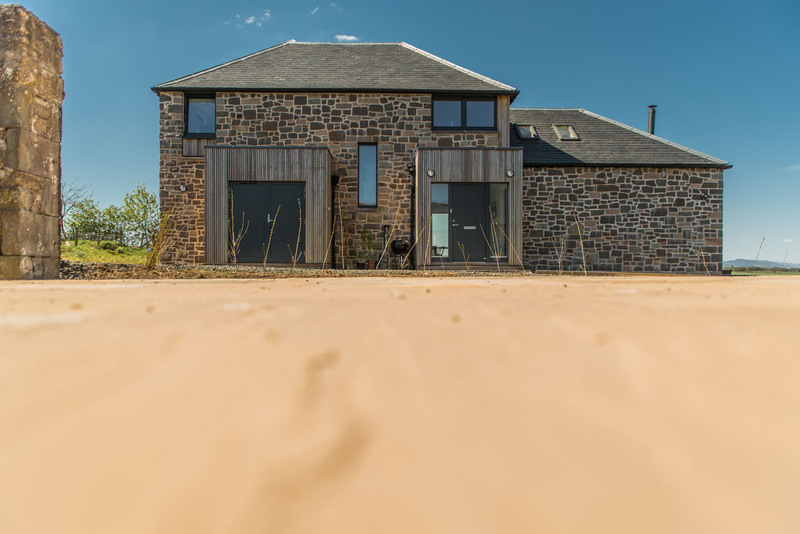 The existing steading was beyond repair; however, the footprint was maintained and the existing stone re used where possible to ground the new building into the landscape. 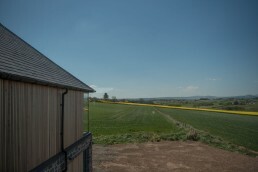 From the surrounding fields the client’s crop is farmed on site to produce artisan oils and dressings. 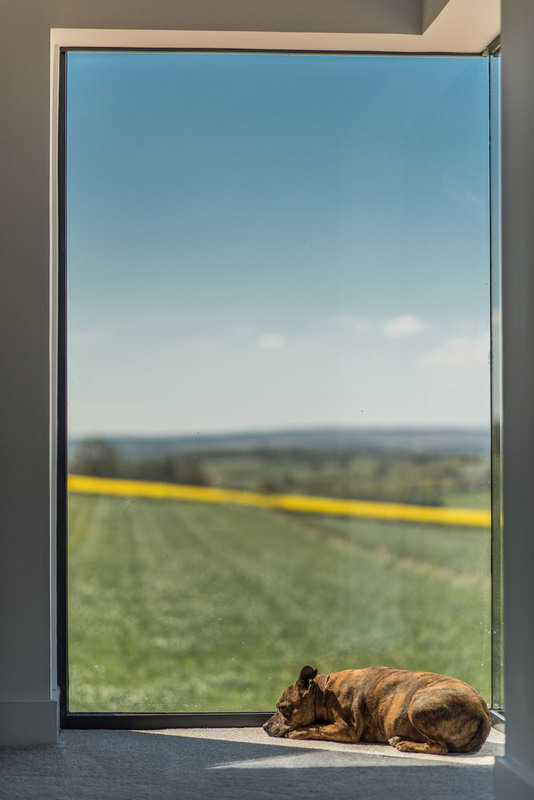 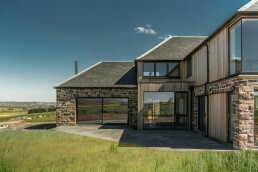 This deep understanding of the land and local weather conditions has influenced the architecture as well as forming the desire to be strongly connected to the countryside. Maintaining the L shaped floor plan of the steading not only simplified the planning process, it also allowed a clear distinction between the public and private spaces of the home. 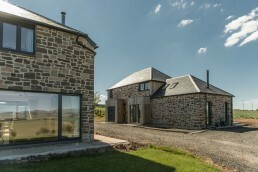 Facing the neighbouring two properties the architecture is more restrained with smaller windows and traditional features influenced by rural stone architecture. 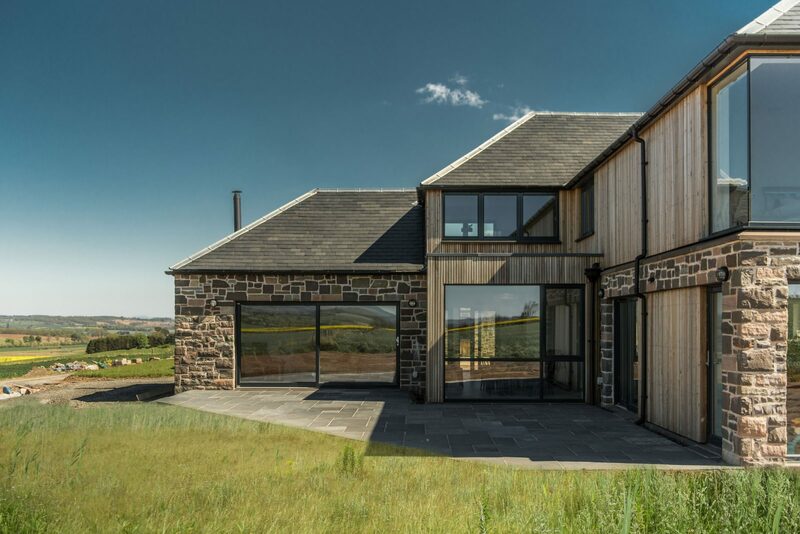 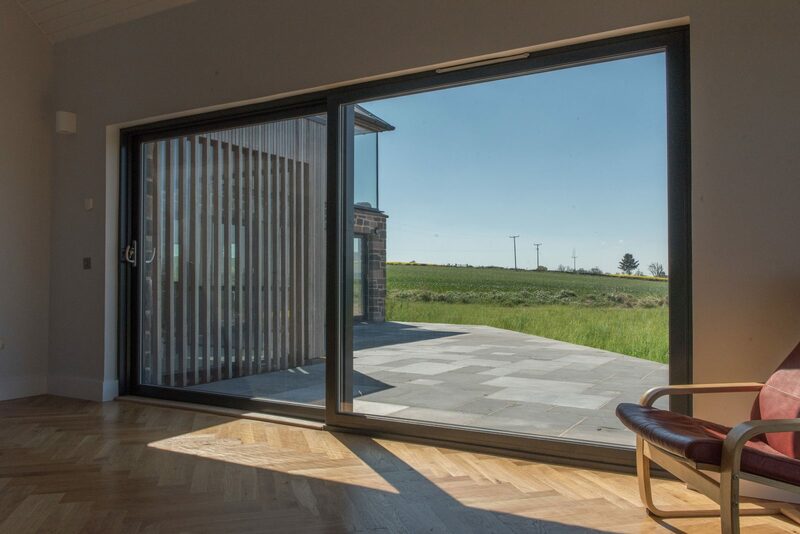 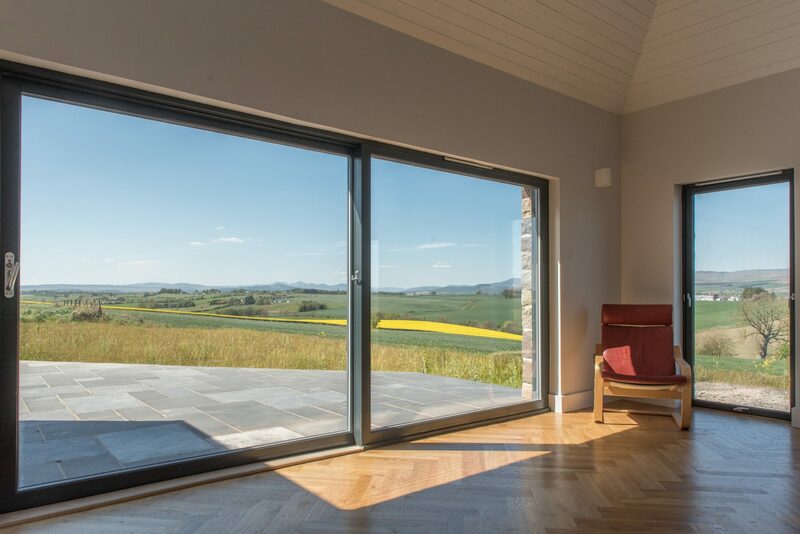 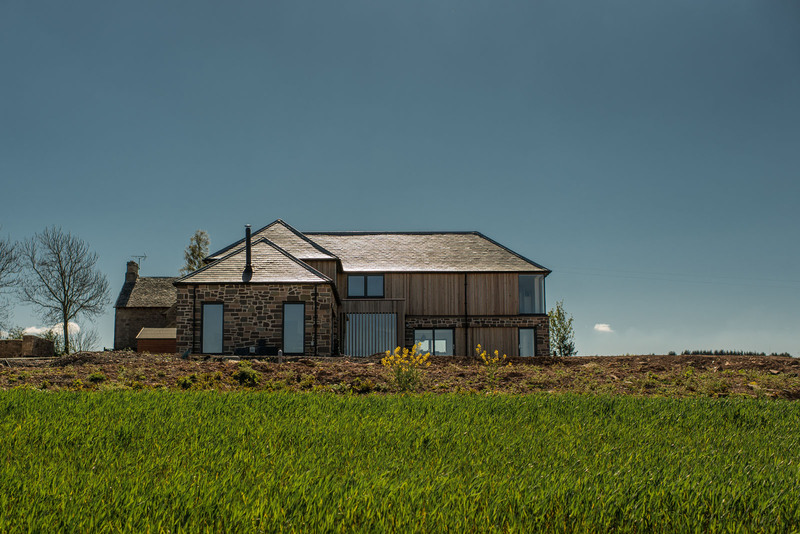 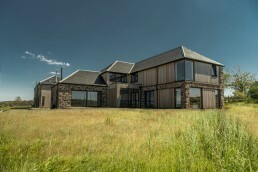 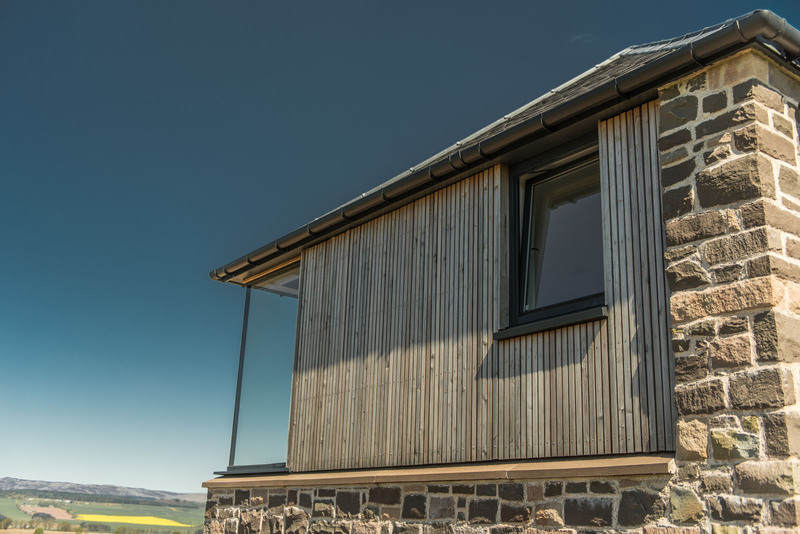 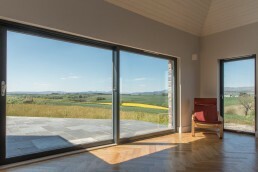 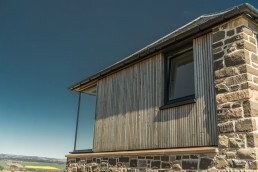 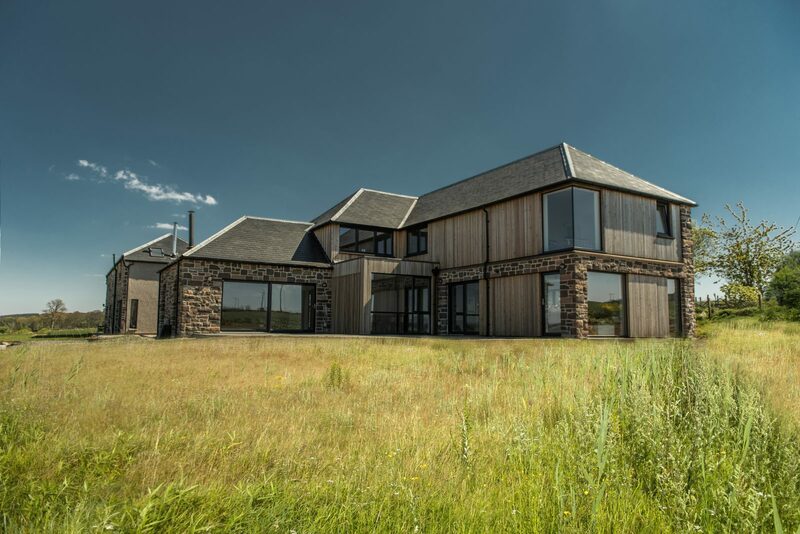 On the private faces, to the north and west, where there are vast views across the valley to Schiehallion; the architecture, materials and proportions are more open and contemporary. 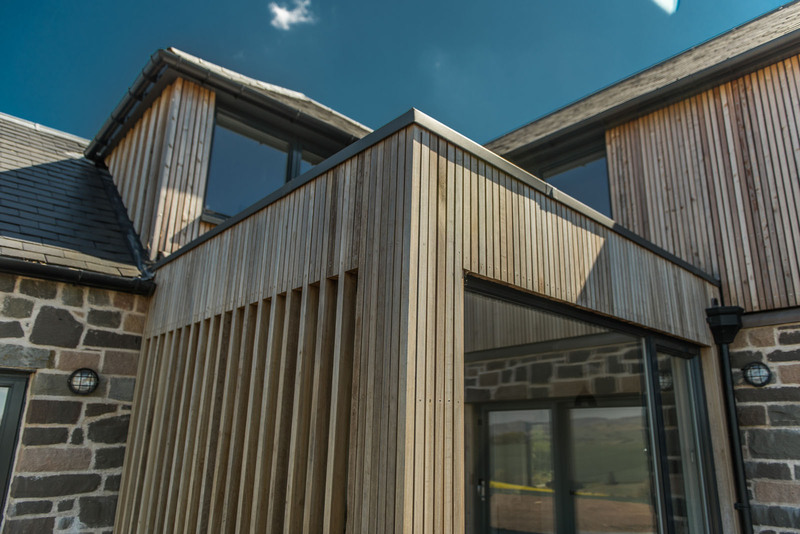 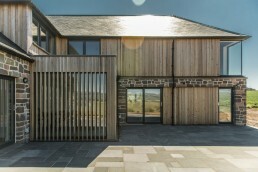 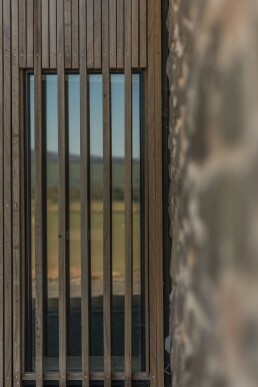 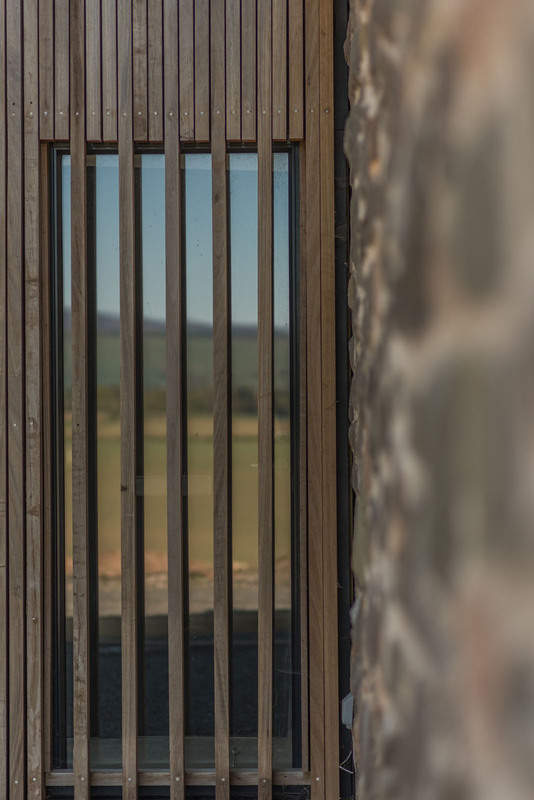 The cladding becomes predominately timber with large areas of glazing, forming a strong connection to the landscape whilst creating protection from the elements where the climate can be harsh and changeable. 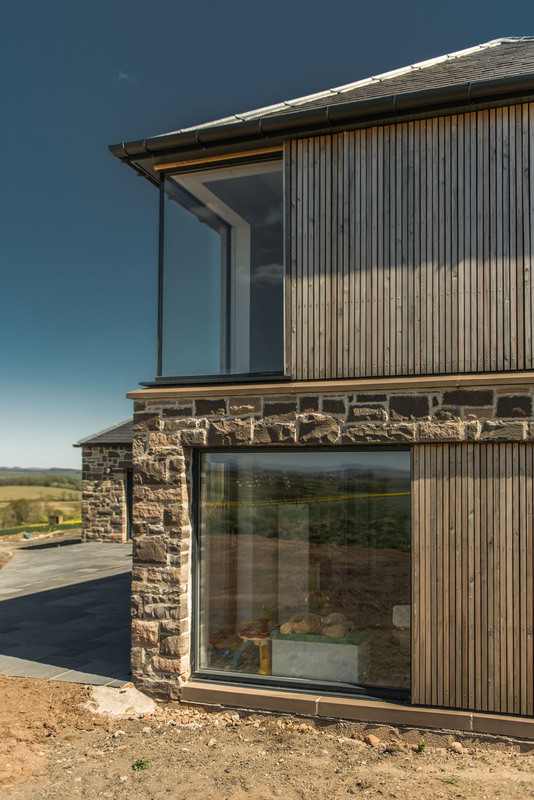 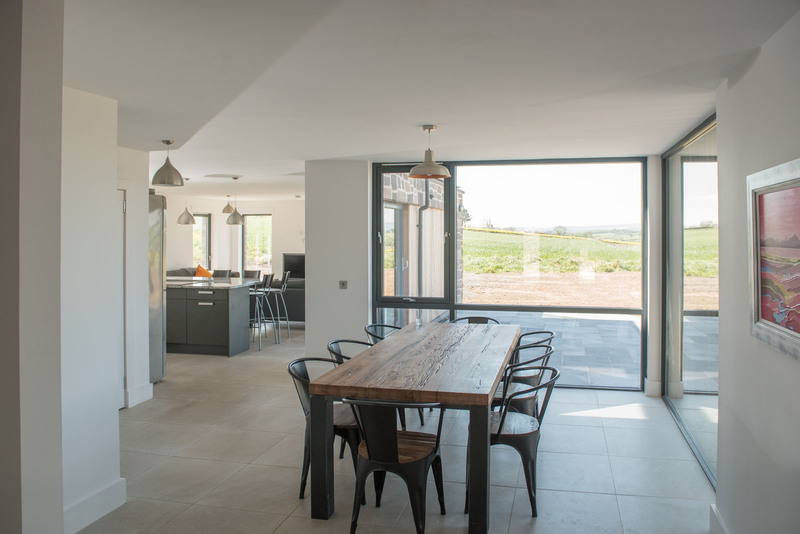 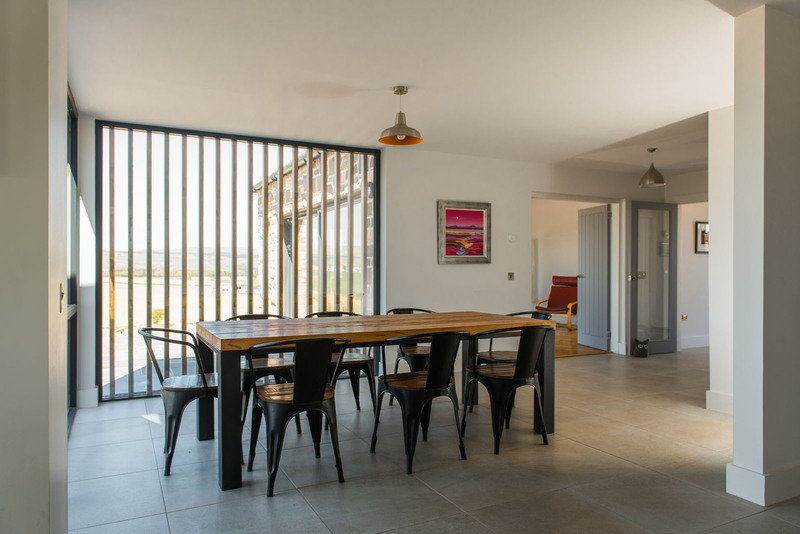 A strong emphasis has been placed on the performance of the house with consideration given to wall construction and detailing to minimise heat loss. 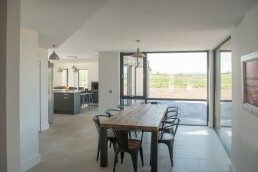 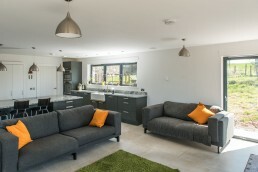 The spaces are laid out to maximise solar gain as well as views throughout the open plan living areas. 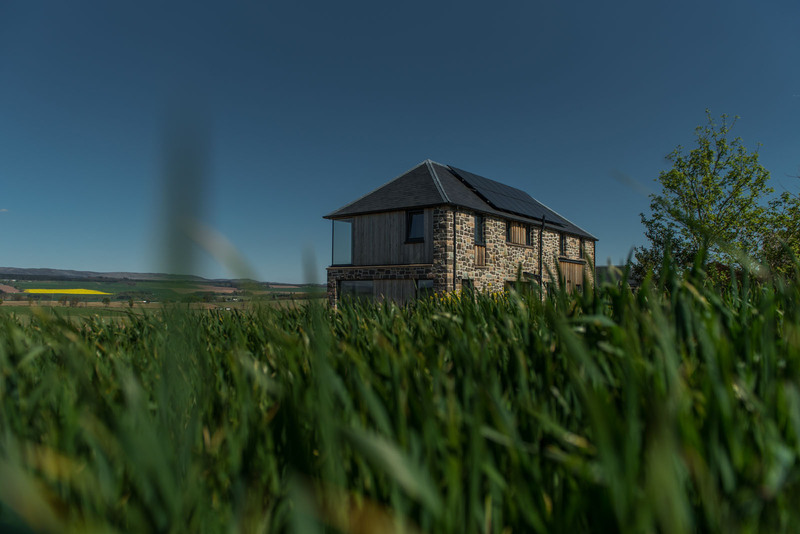 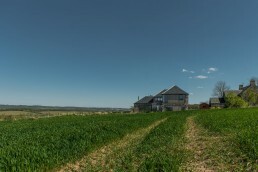 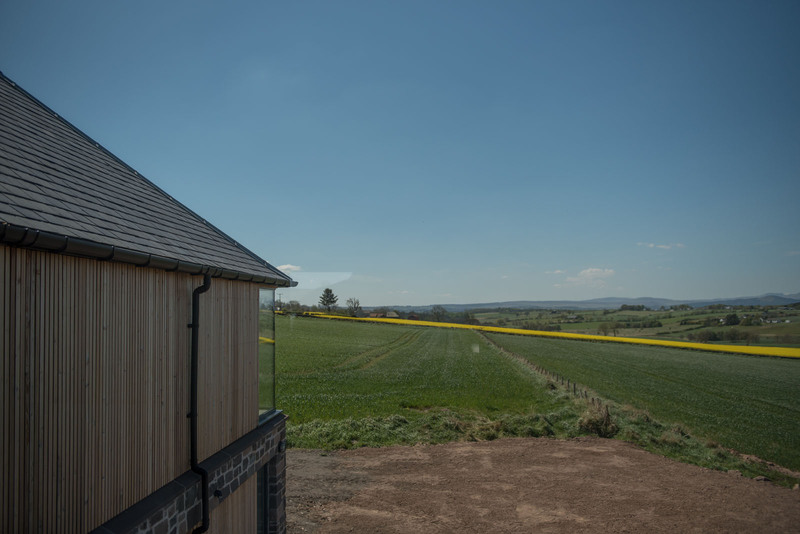 The development is ideal for creating off grid power and heating, due to the space available around the house it has been decided to install a ground source heat pump with photovoltaic panels providing further renewable energy.